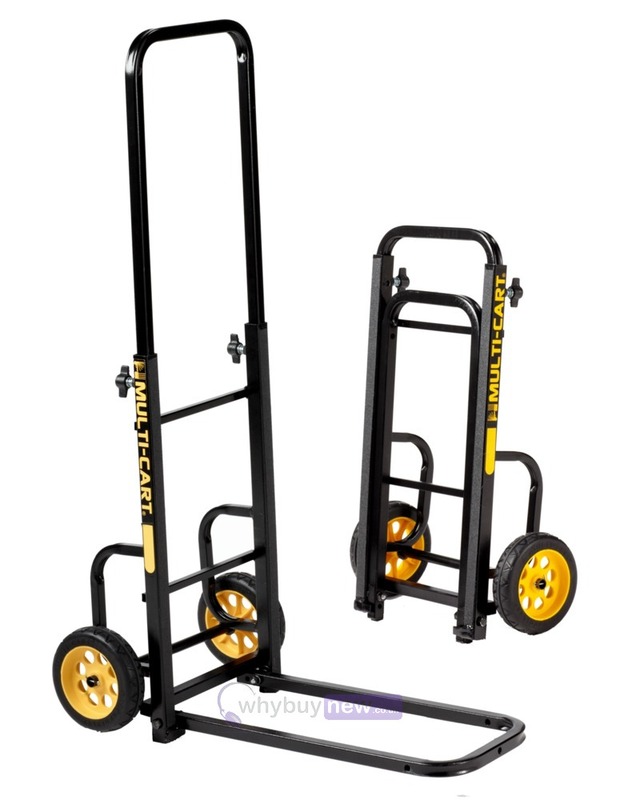 The Rock N Roller Multi-Cart RMH1 Mini Hand Truck is designed for easy transport of your equipment such as speakers, lighting gear, stacked flight cases, instruments, and folds up for convenient storage. Ideal for musicians, DJs and sound engineers who need to move heavy and bulky equipment with ease. The RocknRoller® Multi-Cart® RMH1 Mini-Handtruck is designed to handle large tasks and still fold up compact for storage. It features a long 18" nose capable of lifting bulky equipment, boxes, or gear up to 200lbs in weight. With an ergonomic, space saving design, and 6"x1.50" R-Trac lightweight no-flat wheels, moving your stuff is easier than ever. 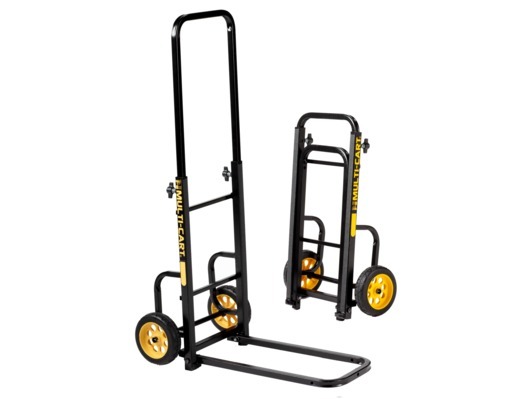 The Mini-Handtruck also features a non-skid surface on the frame to resist cargo slipping, stair-climbers to ease loads over curbs, and a sturdy tubular steel frame with textured powdercoat paint that resists chips and scratches.